From its humble Bronx beginnings to the Gucci runway in Milan, here’s how the iconic ‘NY’ insignia transcended sport and became recognizable the world over. There’s something about the all-American sports hero that fashion brands are super obsessed with. 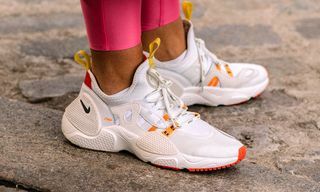 Whether it’s the omnipresent Jumpman symbol that adorns Nike Jordans, or Vetements’ shoulder-pad homage to the American footballer back for Fall/Winter 2016, we’re now accustomed to seeing the silhouettes of sports heroes on the feet of the streetwear cognoscenti, or the runways during fashion week. 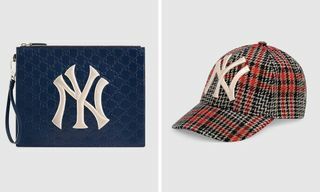 Silhouettes and homages are one thing, but there aren’t many teams whose logos alone have become iconic in fashion – the New York Yankees might be the anomaly. 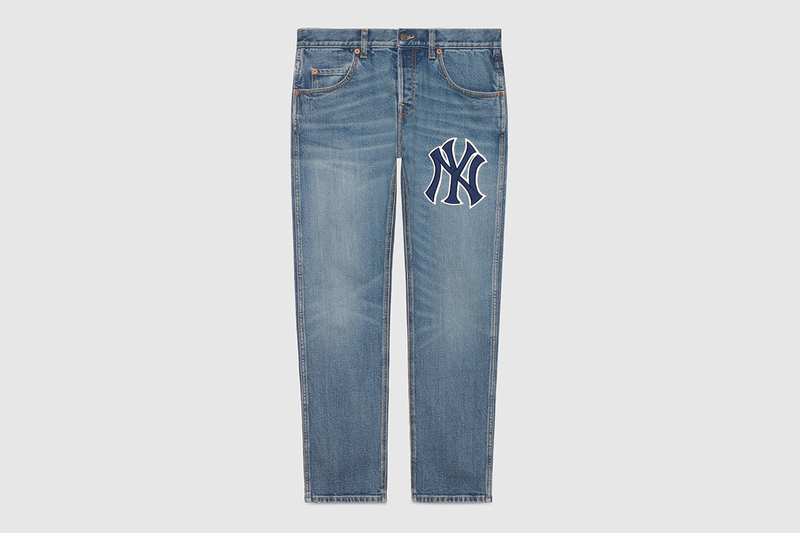 Their famous ‘NY’ insignia – spotted on jerseys, sweatpants and (obviously) baseball caps – has a reputation that’s perhaps more wide-reaching than the sports team itself, and has transformed the name ‘Yankee’ into something greater than just a team. 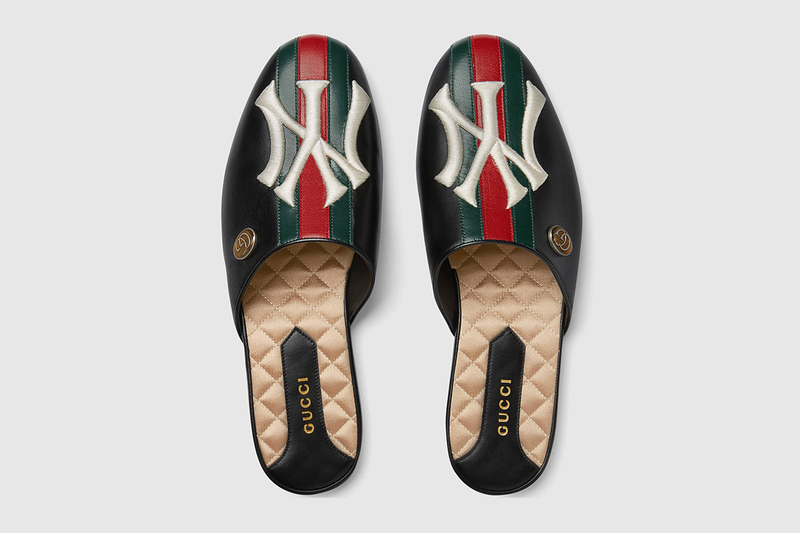 Nowadays, it’s the quintessential symbol of NYC, ubiquitous across all levels of fashion, whether it’s on the cap of a tourist or embroidered onto a Gucci coat. But how did it all begin? 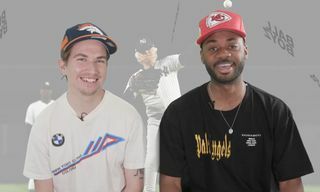 Here, Highsnobiety looks at how the Yankee insignia went from being a humble sports team logo to reaching legendary status, becoming a killer fashion statement in the process. While it was originally developed to pay homage to John McDowell, New York City’s first officer shot and killed in the line of duty, Devery soon realized that the ‘NY’ insignia represented a shared spirit of unity between the police force and New York’s favorite sports team. A design that once appeared on a modest medal, was now on the breast pockets of Bill Devery’s team – a new symbol of togetherness and sportsmanship. Anybody who spent their childhood dreaming of getting out and seeing the world has undoubtedly considered New York to be their ideal destination one day. For those who hadn’t walked its streets – only seeing it in movies or in fleeting paparazzi shots – our idea of what it looked like was condensed and considerably more glamorous. Over the past few decades, the city surpassed the idea of being a mere place; it’s a glorified object of Americana. For those who felt separated from the USA, geographically and socially speaking, the Yankee insignia played a key part in bringing them closer to it – even if they weren’t clued up on the team’s Major League history. 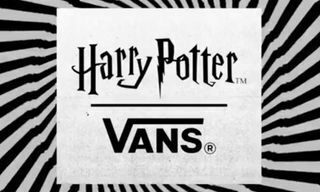 That’s an important point to consider when it comes to the logo’s salience in popular culture as a whole. 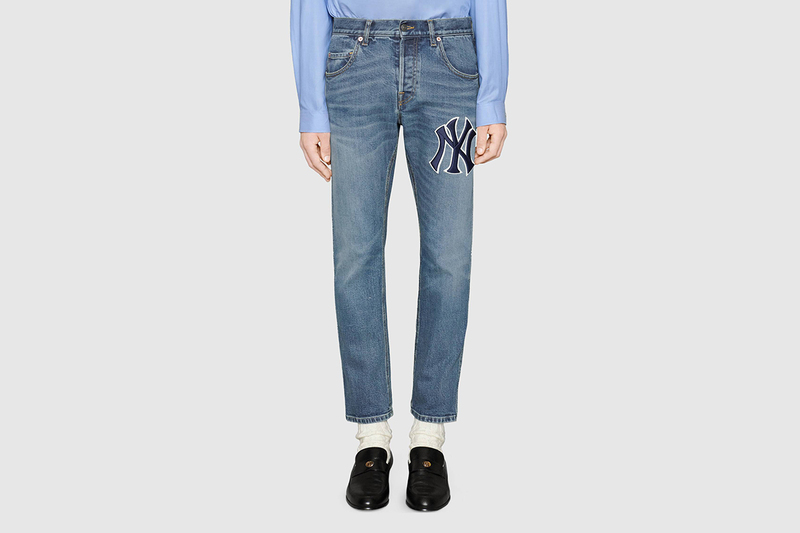 We all felt the need to cash in on the Yankee insignia in the early noughties, when anybody who mattered found themselves donning the team’s iconic baseball caps. New York local Jay-Z famously made his a wardrobe staple, while Manhattan-born Macaulay Culkin had been wearing his since the Home Alone days. Then, back when puffers had their first fashion moment and slack jeans were all the rage, Brit-born soccer player David Beckham was spotted wearing his too. But maybe it was President Bill and First Lady Hillary Clinton who bucked the trend, donning theirs when the Yankees visited the White House back in 1999. Either way, the salience of the hats on the heads of those who mattered helped transform the Yankee logo into a bona fide fashion trend. They had become ever-present, but perhaps that’s what’s so special about them. 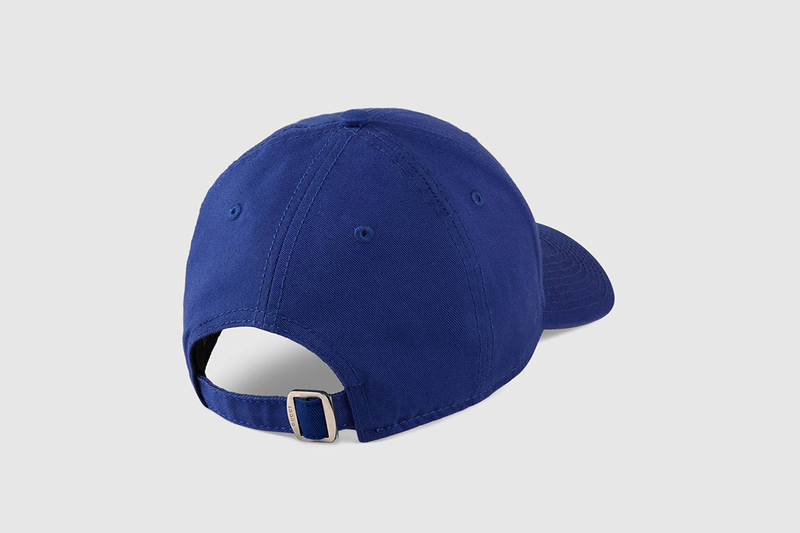 Unlike so many must-have pieces, the Yankee cap is far from unattainable. 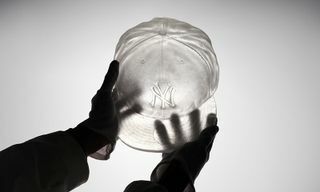 From downtown Harlem to the penthouse suite of The Carlyle, the Yankee cap in the early ’00s could be found everywhere – maybe that’s what gave it a new meaning in a wider, cultural context. 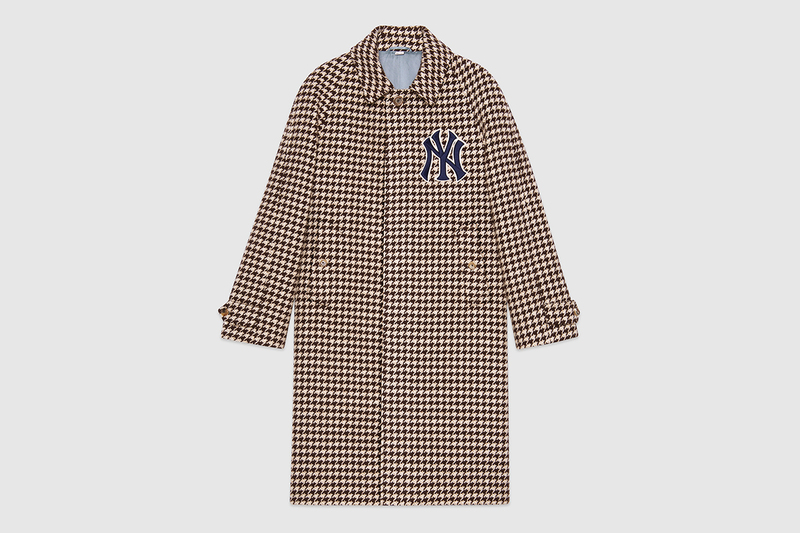 New York is the inimitable home of streetwear, so it’s no surprise that the Yankees insignia has made more than a few cameos on pieces created by the industry’s foremost brands too. Back in 2015, the team linked with Supreme via the ’47 sports lifestyle brand, creating a series of sought-after pieces that put the Yankees logo on leather jackets, coaches jackets, bucket hats and box logo tees. Plus fan-essential caps and pennants, too. And when it comes to headwear, New York locals Public School and Kith have both worked on Yankee collabs, that saw the labels design their own limited-edition takes on the team’s merchandise. 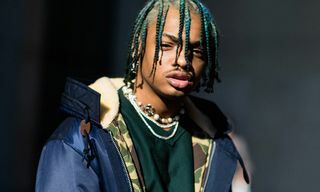 The past few years of streetwear and baseball crossover culminated, of course, in the SS17 Louis Vuitton runway show, when Kim Jones debuted a monumental monogrammed Supreme x LV baseball jersey in two denim colorways. Now, it seems like the industry’s most storied designers can’t get enough. High fashion designers these days are fascinated with irony and ubiquity. Vetements’ Demna Gvasalia tapping into DHL’s iconic logo and transforming it into a statement tee with a $500 price tag was considered one of the most subversive examples of fashion anarchy the industry has seen in years. 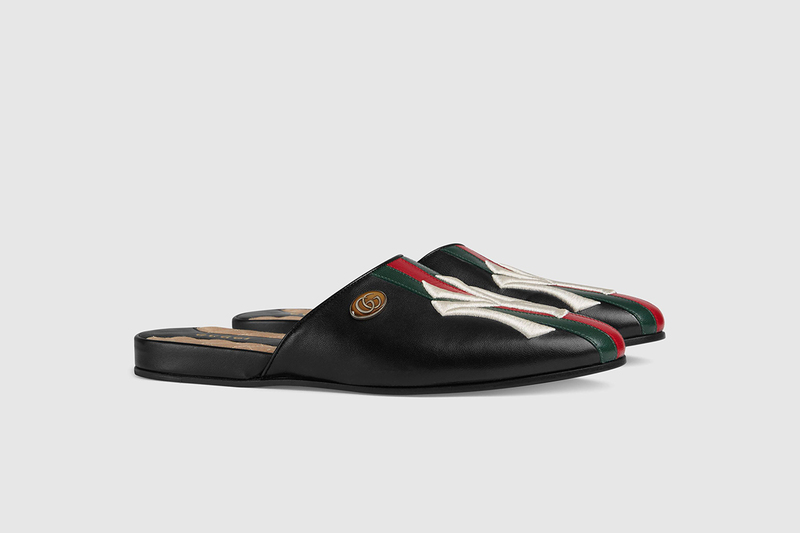 It makes sense that his equally on-trend counterpart, Gucci’s Alessandro Michele, would try it out too. 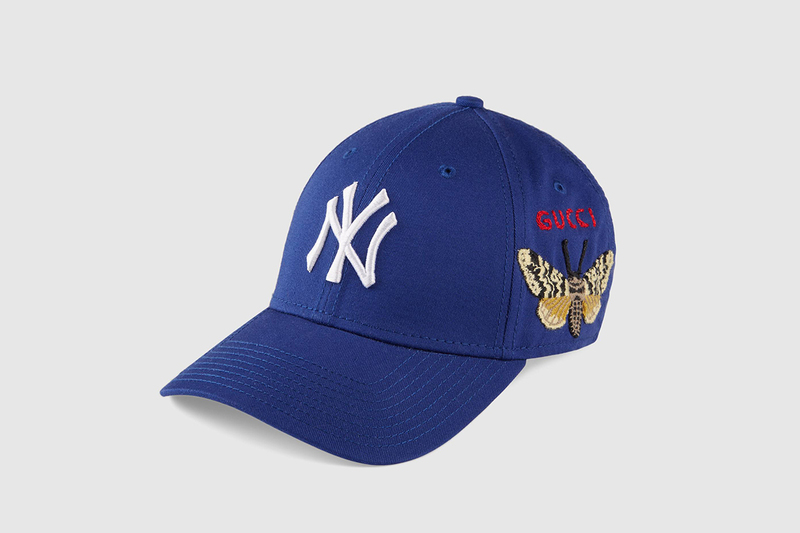 Michele first officially linked up with Major League Baseball back for Pre-Fall 2018: that Giallo-inspired collection transformed the humble baseball cap into a luxury accessory, with staple Gucci florals and colored stripes wrapped around the logos of MLB teams. Still, it was Michele’s ability to completely re-contextualize the insignia barely a season later that left us all astounded. 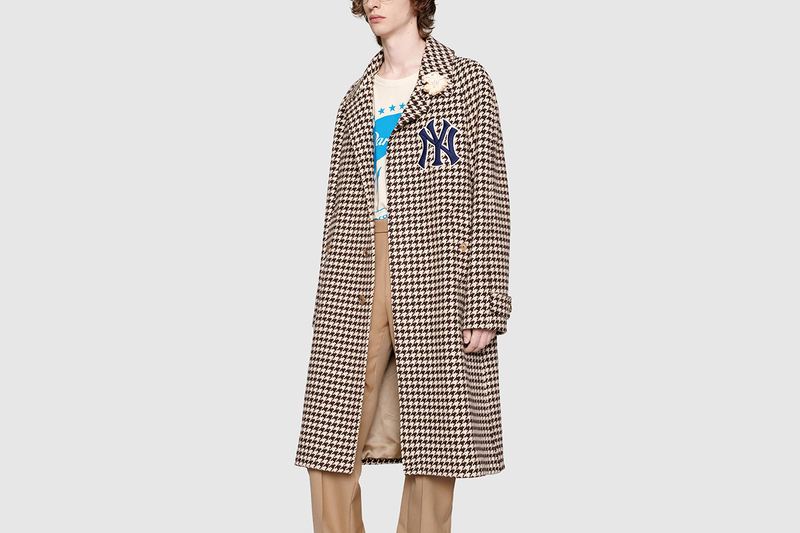 For Gucci’s FW18 collection, Michele unveiled a seriously luxurious take on the Yankees logo. It included silk floral suits emblazoned with a Yankees chest patch, gigantic knitted beanies and intricate, feminine overcoats that pay homage to the original insignia from 1903, when the ‘N’ and ‘Y’ sat on either side of the player’s jersey. The historical logo that once adorned a humble $15 cap is now appearing on the breast panel of thousand dollar suits; the switch-up is monumental. If anything, Michele’s seal of approval could cause the Yankee cap to have its own fashion renaissance, stepping out of everyman shadows to become a truly coveted piece once again.